DOES ANY OF THIS SOUND FAMILIAR TO YOU?? I want to grow my frozen dessert business but I am so busy working IN my business, I don't have time to work ON my business. I want to get into the ice cream business, or see if it is for me, but I don't have the funds or the time at attend a course. I want to provide training for my General Manager and Shift managers but I cant afford the time or wages to train them myself. I want to be up to speed on industry trends and best practices, but attending seminars and trade shows is out of my reach right now. I want to see if I can covering all of the elements of frozen dessert business management in the day to day running of my business. I need help with marketing and promotion suggestions and ideas on how to grow my business. Worked with International, National and Regional Fast Food concepts, QSR businesses, Hotels, Casinos, Resorts and Grocery Chains to add or grow their frozen dessert sales and concepts. I know exactly how you feel and what you need to bring your ice cream or frozen dessert concept to reality, or to help you fine tune your operations and grow your business and your sales. Membership in the Closed Scoop School Online Facebook Community Group with a Community of Like-minded people all growing their ice cream businesses. Work at your Own Pace - While your membership is current, you can watch the videos as many times as you need. Downloadable forms, checklists, PDF's and Audio Versions of All Training Content. For all of the current and future online training Scoop School Courses, Content and Curriculum in a low monthly price, the Scoop School Subscription model is a great way to remain up to date with frozen dessert industry policy and practices. 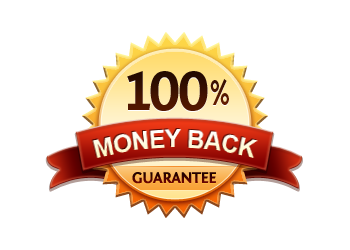 As always - We offer a 100% money guarantee as we do on all of our online courses and instruction. If you honestly feel that the content, attachments and supportive material were not beneficial to your yearning for retail ice cream and frozen dessert knowledge, please contact our headmasters office and we will arrange a refund. That being said, with over 650 retail locations opened, over 1000 students graduated and having spent time with over 10,000 people in the process of frozen dessert education and training, we feel confident this content will move your forward towards your ice cream dreams.